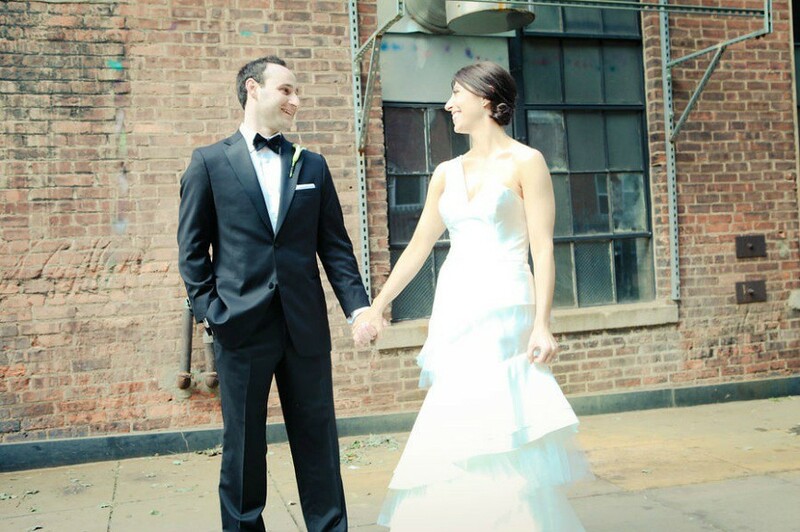 Stephanie and Matthew’s wedding planning experience is one we will never forget. We loved Steph and Matt right from the beginning. Young, fun, gorgeous . . . they are the type of couple everyone enjoys being around. For about 9 months we planned a sleek and modern seaside wedding, with all of the pieces nicely falling into place. Then, the week before their big day, Hurricane Irene struck, leaving our venue without power and us in a bit of a pinch. Chins up, we completely moved their location and all of their guests to new hotels and a new venue, The Omni Hotel, 48 hours from their wedding date! We cannot thank the incredible Omni staff for flawlessly executing our wedding vision in such a short time period. Additionally, we wish to thank again every vendor involved for their flexibility and support. The day after the wedding, Stephanie emailed me to say it was apparently all along they were meant to get married at the Omni. She was right. See for yourself. Thank you to Stacey Ilyse for beautifully documenting Stephanie and Matthew's wedding, as well as sharing all of the amazing photos! The morning of the wedding, Steph and her maids readied with Kelly and Lindsey from Jennie Fresa. Champagne, munchies, laughter . . . I love this time. Steph wore a couture confection from Carolina Herrera, paired with her favorite pair of Pradas. Her ladies were timeless and beautiful in steel dresses, fresh and dewy make-up. Classic tuxes for the guys made this group all around flawless. Lucky for us, there was a convenient alley right around the corner from the Omni, perfect for the couple’s first sighting. The Jewish ceremony took place under a lustrous, yet ethereal chuppah that shone like the moon. There was not a dry eye in the room when Steph was escorted down the aisle by her father and Aunt Margie to her favorite song, a special composition of “True Companion.” As part of their ceremony, Matthew’s tallis was fastened around them with an elephant that had belonged to Stephanie’s mother. Amidst their tears, this couple could not stop smiling, and applause exploded as they made their way down the aisle together as man and wife. For the reception, strong white callas and soft orchids admist floating candles atop charcoal linen and silver chargers were all washed aglow with violet and sapphire lighting. Carey from Stems, always a delight to work with, totally rocked our vision with her artistic and architectural centerpieces. Guests danced the night away to the incredible talent of Night Rhythm. A slipcovered lounge space in an alcove was a welcoming spot for guests to relax after a long sets of intense dancing (and singing!). And no guest could resist the whoopee pies, donuts and cake pops atop our mirrored table. Congrats to the Stephanie and Matthew's for their wedding and also sharing the wonderful wedding photos in this post. Planning the wedding is little bit difficult for the engaged people. So they can get help from the wedding app for the proper guidance of successful weddings.